Are you unsure whom you can entrust your Electrolux appliance repair Toronto service to? Reach our company!Of course, finding one of your home appliances broken can be quite frustrating.Especially when it comes to such reliable brand as Electrolux! Not only can it cause a lot of stress but also mess up your daily chores. But no worries. We can assist you with any service from Electrolux washer repair to stove top maintenance and anything in between. 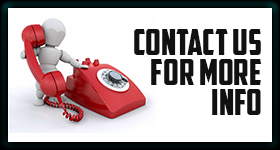 Once you give us a ring, we will send a skilled tech to any place within the Toronto area in Ontario in a flash. As each pro has all necessary parts at hand, it won’t take long to complete any Electrolux home appliance repairyou may require. Isn’t that what you are looking for? When hiring us, you can be sure that all jobs will be performed by pros with in-depth knowledge of the Electrolux products. As they are well-versed in the electronic,electrical and mechanical aspects of these appliances, they can take care of any problem with no fuss. 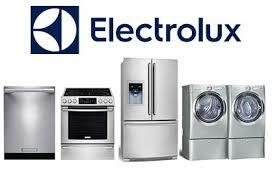 Here at our company, we know everything about Electrolux appliance repair. We admire the ultimate quality of these units and believe they deserve the best in service. To maintain their overall performance at high level as well as protect them from occasional glitches, we offer you to book an efficient check-up with us. You will see that this is the easiest way to make your appliances work seamlessly for years to come. So don’t think twice and schedule maintenance today. Then again, if you are dealing with some glitches, call us for a speedy Electrolux appliance repair in Toronto right now. You’ll be glad you did!